Generally, there are days when we feel frustrated, anxious and depressed with life. Just keep it in mind though that these feelings are temporary, and there's always sunshine after the rain. To help you gain some motivations, we've come up with 25 frustration quotes that'll surely help you keep your feelings in check. We hope you'll gain something out of our list! Do you know how to deal with it? There is always frustrations on the road to success. Retaliation is not the answer. Clear your head. You need it badly. It is our own choices. Contentment is the name of the game. The fear of having a wild imagination is super frustrating. Work is a prerequisite to success. Kidding aside, here's something for frustrated singles out there. Loss is always frustrating and devastating. Keep going - you'll get there. Don't keep it all inside. Control it before it controls you. 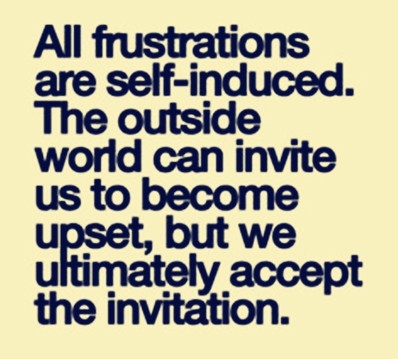 That is why frustration causes conflicts and anxiety. It makes monsters out of men. Break free from these shackles, and you will be happy. Count your blessings and move forward! It is the seed of some brilliant ideas. A sincere advice from our list of frustration quotes – Don't make any decisions when you feel frustrated.